A lawmaker in South Boston is arguing in favor of a bill to mandate state contractors hire enough disabled workers to perform contracted services so employees with disabilities make up 10 percent of the workforce. Hiring disabled workers would become a condition for any contract for services, including landscaping contracts, custodial work, mail room work, trash removal, manufacturing, and management of state and local facilities. While the Boston Herald reports critics argue the bill would add significant costs to contracts with the state, proponents believe it would help to ensure jobs are made available to disabled people who want to work. Currently, unemployment rates in Massachusetts are very high for people with disabling conditions. With it so difficult to find work, many people who have physical or mental conditions want to try getting jobs but are not actually able to get hired. This puts disabled workers into difficult positions, especially if they have hard time getting approved for Social Security Disability benefits. Many initial applications for disability benefits are denied, and disabled individuals often must seek help from Boston SSDI lawyers to be able to get benefits. The process can be very stressful, especially when disabled workers know their condition prevents them from having a job and recognize high unemployment rates for the disabled make the likelihood of finding work even worse. 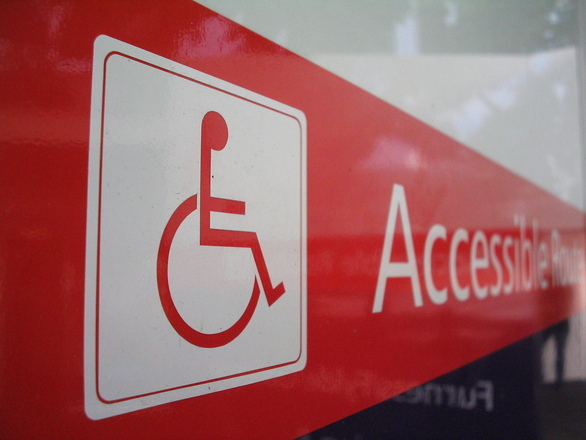 If the proposed bill passes and more opportunities are opened up for people with disabilities, this would at least provide one possible lifeline if a disabled worker did want to try finding a position, either because of difficulty getting SSDI benefits or as part of a trial work period to try to re-enter the job market while receiving disability income. Opponents indicate the bill would increase the cost of service to the state because it would force companies to favor a specific group of people, rather than hiring the best people at the lowest cost. One opponent argue “It is an inefficient way of helping the targeted group” because it forces taxpayers to indirectly cover any added costs associated with hiring people with a disability. The fact is, however, there are 394,000 people receiving disability benefits in Massachusetts, and the unemployment rate for disabled individuals is close to 80 percent. A good portion of the people on disabilities do want to try work, so contractors should be able to find people who are qualified and who will do a good job a a fair wage.